This is the week. The week of the largest physical, IT, and IoT security trade show in the country where thousands of professionals gather to see the latest and greatest the industry has to offer. ISC West is here and we’re excited to share our smart, simple, seamless access control solution in booth #5109. 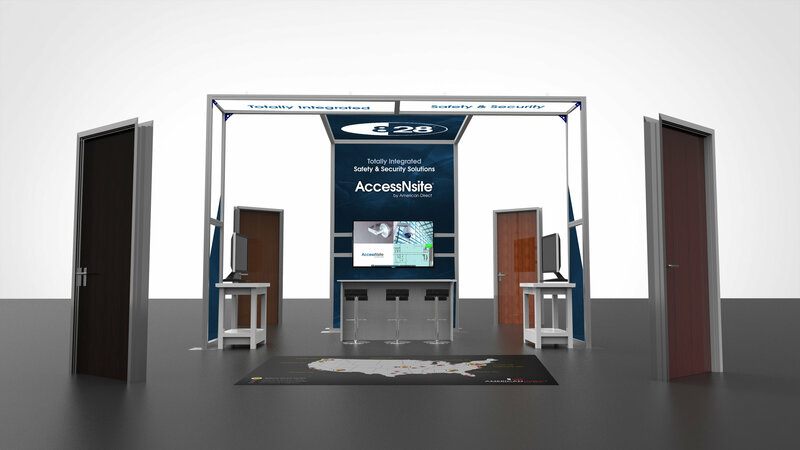 At the show, we’ll showcase our brand spanking new 20×20 booth, featuring four, full-size doors to demonstrate the integrations and capabilities of AccessNsite. Show attendees will see AccessNsite in action; the software interacting with the wireless locksets on the doors, and will learn how with AccessNsite by American Direct, clients get a true access control partner with the 8/28 products, services, and expertise needed to design, source, install, monitor, and maintain every facet of a building’s door openings. Over the last two weeks, we’ve announced several new enhancements and integrations to AccessNsite: Wi-Fi integration with Allegion™ Schlage® NDE And LE wireless locksets, integrations with elevator and intercom manufacturers, and Pelco’s VideoXpert video management system to name a few. Our AccessNsite Associates are excited to share these new enhancements with attendees at the show. With this being the eighth major update to AccessNsite since 2016, we are committed to providing our clients, partners, and end users with solutions that are at the forefront of today’s rapidly evolving safety and security marketplace. In today’s increasingly hostile world, top notch security is not an extra or nice-to-have, but a necessity to best secure the buildings in which we work, learn, and live. If you are in Las Vegas this week for ISC West, come see us in booth #5109. If not, and you would like information about our services or would like to talk with someone about a project, contact the sales lead in your region.